The port of Dar es Salaam has much to offer the average traveler. It’s a melting pot of so many cultures, including Indian, African and Arabic. You’ll see the influences of many countries in the buildings that dot the city – British and German being just two. 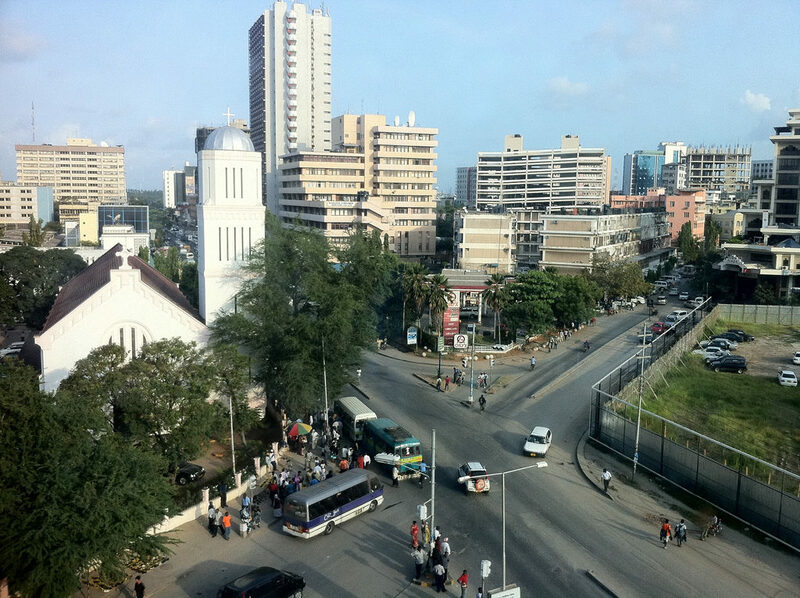 It is to the Germans and their love for order that Dar es Salaam owes its grid- like street formation. The harbor itself is a vital one, connecting to some of the most important marine routes in the world. It’s a great place to start your exploration of this fascinating city. St Joseph’s Cathedral – the Cathedral dates back to the late 1800s and is a marvelous example of Gothic architecture. The German sentiment for order and symmetry is clearly seen in the inscriptions, artwork and appearance of the church. Decorated by beautiful stained glass windows, soaring vaults in the interiors and a shingled spire, this church is of cultural and religious importance – the archdiocese of the city sits here. It dominates the waterfront and is a great place to visit. For a different kind of church, get to the Azania Front Lutheran Church. This church also dates back to the late 1800s. The red roofs and whitewashed walls make its simple understated elegance unmistakable. The gardens are a good place to rest as well. Gaze at the waters and think about inner peace. Mbudya Island – Dar es Salaam is also famous for its beach and islands. Mbudya is part of the marine reserve and offers many joyous moments to the traveler. Pristine waters and white sands make every activity a pleasure – swim, snorkel or laze around on the beach. Indulge in some food and drinks and the day will go by without your even knowing it. National Museum and House of Culture – if you want to know more about Tanzania and its eclectic past, step through the colorful doors into this important building. Traditional crafts, early fossils, musical instruments, jewelry and displays of ethnic richness – you’ll find it all in this fabulous space. Botanical Gardens – when you step into the garden, you’re stepping into something that’s been around from 1893. You can see a pattern here- there’s history everywhere in Dar es Salaam. You’ll find yourself surrounded by colors of all kinds – red hibiscus, the blue of the jacaranda, the purple of the bougainvillea and the fabulously flaming scarlet flame trees. The highlight of the place is the coco-de-mer palm tree. Truly an exotic sight. Bongoyo Island – if you want to catch some marine life, get to this island and look at some sea urchins, angelfish and starfish. There’s a reason why this island is among the most popular things to do in this place. Take a walk along the baobab trees or get your feet wet – either way, you’re in for a lovely experience. Tripindigo will be able to help with your tickets and travel plans. To get the best information, go online and find out the many things to do in this wonderful slice of the world.